Estate planning is one of the best gifts you can give to your loved ones. It ensures they don’t have to spend months in probate court after you are no longer here. It removes the stress of trying to follow your wishes without knowing them. Here’s what you need to know about estate planning. What Is an Estate, Anyway? Some seniors resist estate planning because they’re not wealthy. But an estate doesn’t have to be a sprawling country home and a massive bank account. Estate is merely the legal term for the assets you leave behind when you die. All of your possessions, ranging from jewelry and furniture to cookware and family photo albums. Some benefit plans, including life insurance. No matter how little or how much you have, you likely have one or more people in your life to whom you’d like to leave your estate. A will directs how your estate will be divided. If you die without a will, it’s left to the courts to determine who gets what. Each state has its own rules about dividing your estate. Usually, all of your possessions go to your closest relative or are divided up among your children. You might think this is no big deal, especially if you are not wealthy. Or perhaps you know that the laws in your state ensure that your possessions will go to the person you want to inherit them, so you’re not worried. Your loved ones might wait months, or even years, to get their inheritance. Your loved ones might not have the right to enter your house and take things they want until the will is probated. Your loved ones could lose money hiring a lawyer to fight the court or one another over your will. Your loved ones might wonder why you didn’t care what happened to them following your death. For most people, writing a will is relatively simple. It’s something you can do in just a few hours with the right help. So don’t neglect this important planning tool. What property do I have, and are there specific people I want to leave it to? Do I want loved ones to divide my possessions evenly, or do I want certain family members to get certain items? Is there a loved one who can benefit from a trust fund? A trust fund allows you to control how the money is spent, when the person gets the money, and other factors. It’s a great option for children, people with disabilities, and people who might spend the money unwisely. Many trusts also avoid probate, which means your loved one can get the money or asset right away. Trusts can also be kept private, unlike probated wills, which are matters of public record. Will loved ones need help paying my burial expenses? Whom do I want to administer my estate? This can be a lawyer, an accountant, or a responsible family member. Whom should I choose to oversee a trust? If you leave a trust to a family member, you must choose an administrator. Do I have any debts that I will still owe after death? You need to talk to a lawyer to ensure debts don’t erode the value of your estate. Depending on the value of your estate and your state’s laws, your loved ones might have to pay estate taxes. There are ways to structure your will that can reduce estate tax liability. Wills generally have to be probated. That means they go through a specific process and are then approved by a judge, which can take time. Trusts don’t typically have to go through the probate process. So if you think your loved ones will need money right away, you might need to set up a trust. Sometimes you can leave money or assets to someone before you die. A lawyer can help you set up the right kind of trust. If you die with debt, the way you structure your estate can determine whether creditors can come after your property. Be sure to tell your estate lawyer about any and all debt so that your loved ones don’t lose money after you die. 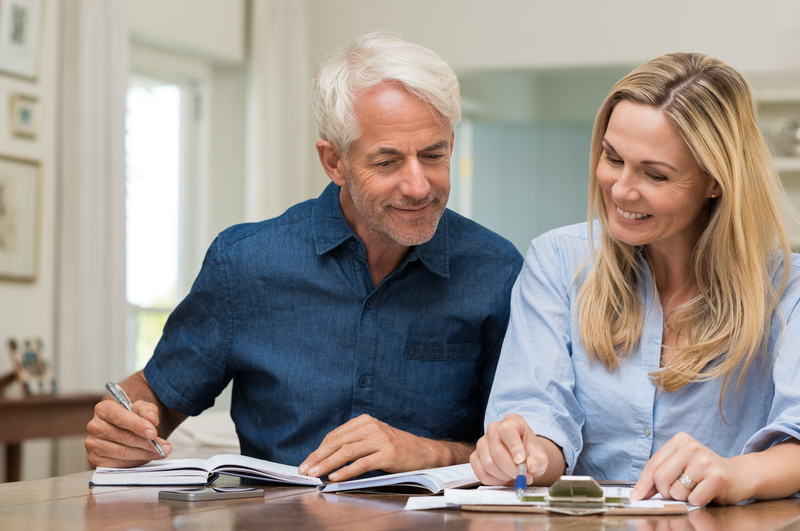 Estate planning might feel like little more than a financial endeavor, but it is also one way to plan the legacy you will leave behind. Money is just money, of course, but it’s also much more. Consider how hurtful it can be to cut someone out of your will, or how touching it might be to leave your loved one a prized possession. After you die, your loved ones may look for messages in how you managed your estate and what you chose to leave each person. So think about what that message is and how the management of your assets may affect your loved ones’ lives after you're gone. Provide a down payment for a new home. Help a loved one get out of debt. Support a loved one to leave an abusive marriage. So it's worth spending time thinking about the legacy your estate offers. Many seniors find it useful to talk to their loved ones about what they intend to leave them. This way there are no surprises after your death. It’s especially important to have open conversations about your will if you’re unsure about what to leave to whom. You might find that something of little material value holds infinite sentimental value. A will is a legal document, and every state establishes its own rules for wills. It is very important to draft a will that complies with your state’s laws. In most cases, a will does not have to use specific language. It need only give your name, the date of drafting, and an assertion that you are competent to draft a will. Most states, however, have a preferred will form. You can get this form on the website of your county’s probate court. In most cases, a will must also be signed by at least one witness, and often two or more. Many states also require that a will be notarized by a notary public. You don’t have to file a will in court. You should, however, tell loved ones where your will is because if you don’t, there may be no record of it. If you go through a lawyer, your lawyer will also retain a copy, so make sure your loved ones know the name and contact information of your lawyer. In today’s do-it-yourself culture, it’s tempting to fill out a will form and go it alone. But a will is a complex legal document. The wrong wording can invalidate it. Moreover, an incorrectly structured will can leave your loved ones fighting in probate court or arguing with debt collectors. It’s worth your time and money to consult with a lawyer, even if your estate is relatively small. The right lawyer can guide you through the will-writing process, ensure your will is legally sufficient, and ensure your will is correctly probated when you die. The American College of Trust and Estate Counsel or The National Academy of Elder Law Attorneys may be able to help you find a lawyer. Elder law attorneys handle estate issues and other elder law concerns, such as living wills, powers of attorney, and protecting your assets while you are still alive. Estate planning might seem daunting, but it’s infinitely more daunting to try to manage someone’s estate while grieving their death. Get help from a lawyer you trust, and enjoy the peace of mind that comes from knowing your loved ones will be taken care of when you’re gone.